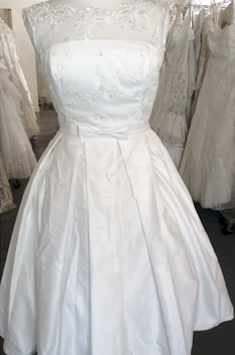 All of our wedding dresses are donated from individuals, bridal stores, designers and manufacturers from all over the country! Some are new and some are used – all are one-of-a-kind! 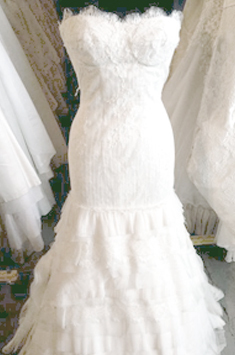 Our inventory is unique, wide-ranging and constantly changing as we get new dresses daily! 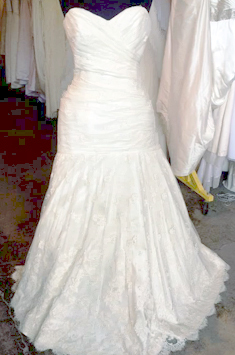 This page features a small sampling of our past and current wedding dresses to give you an idea of what you might expect to find at one of our stores! If you are interested in learning more about our inventory, the best thing to do is come shop at one of our stores to see our ever-changing selection in-person! We have locations in Portland, Tacoma and Seattle! 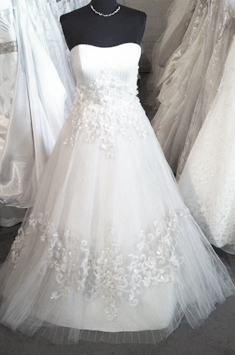 If you are looking for a particular dress or have questions about our online gallery, please call our stores directly. 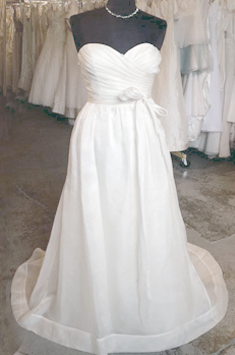 Since dresses come in and out so quickly, its best to come in! Happy hunting! 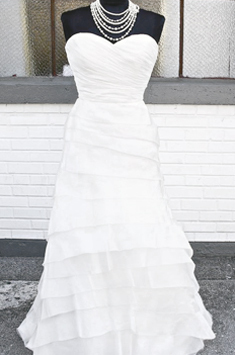 This online inventory is to showcase some of our past and present dresses!